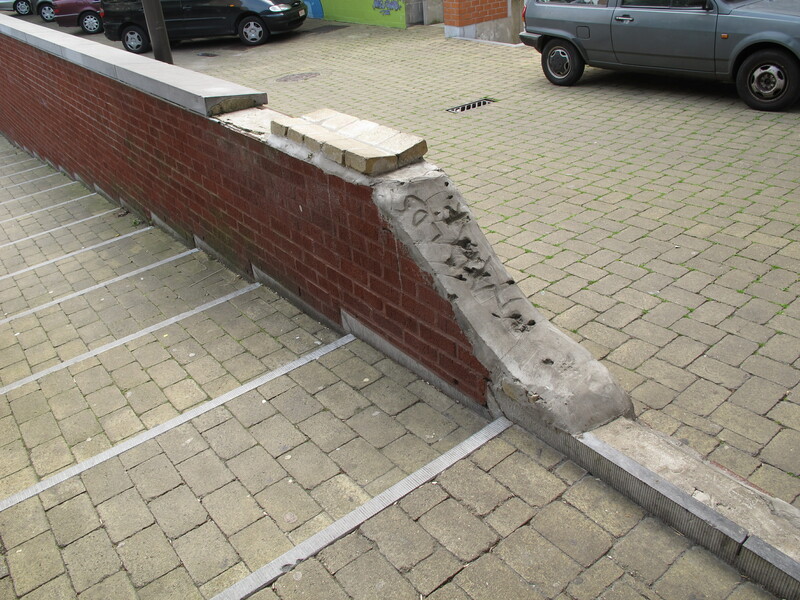 The urban furniture on the pedestrian area between the housing blocks situated between the Wasserijstraat, Rue des Tanneurs and Nieuwland are well known for its swift deterioration. 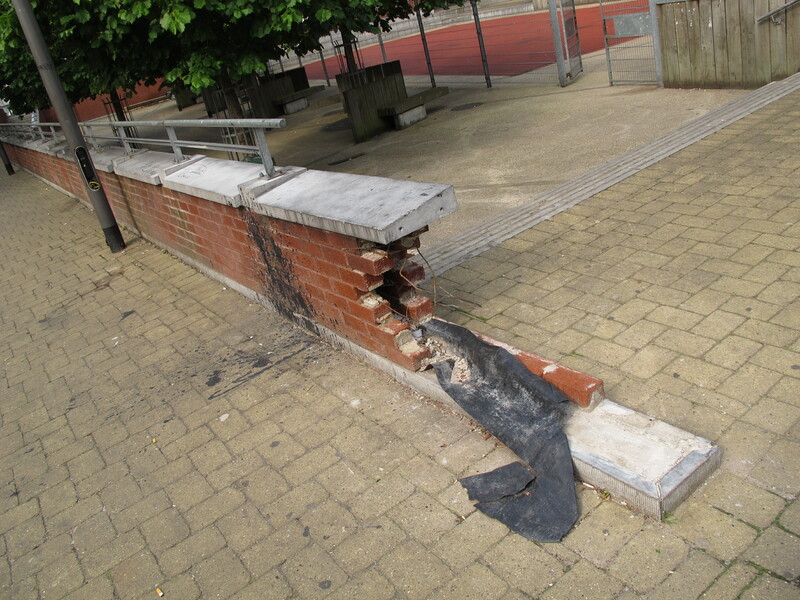 Youth like to make noise, piles of trash arrise overnight, cars crash poles and fences. A typical accident that happens regularly is that the corners of the wall on the pictures, separating stairs and parking spaces, are tipped over by cars that pull backwards out of the parking lot.